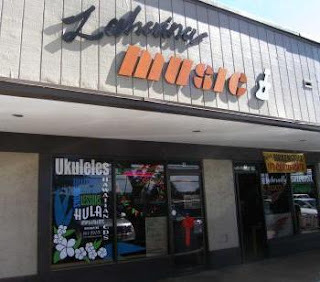 If you are ever on the island of Maui I recommend that you take time to stop in at Lahaina Music, where you will find one of the better selections of Ukuleles on the island, and certainly the best selection on the west coast. I picked up a very nice solid mahogany Kala ukulele here a few years back and have been nothing but pleased with it. 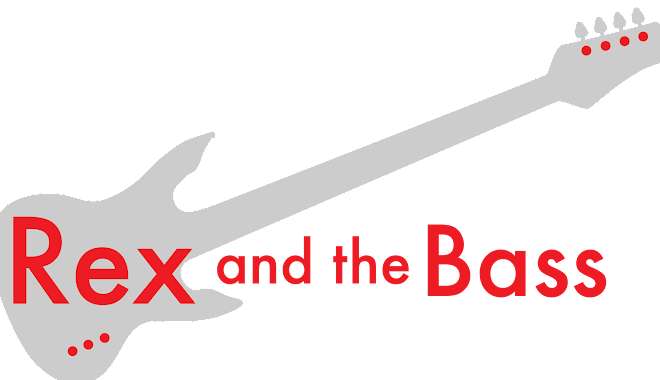 This is a mom and pop music store, so you are not going to see the wide selection of everything under the sun that you would at Guitar Center, but their service is something that you will not find at the big box stores. 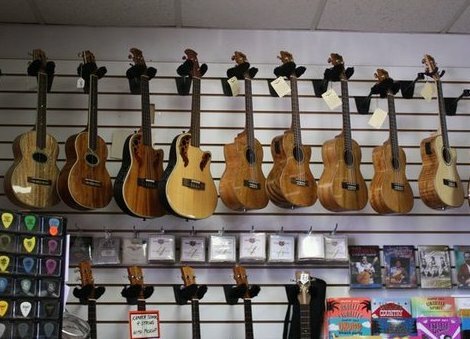 Jason will help you pick out the right ukulele for your price range, and will also set you up with lessons if you need some help. If you are unsure if the uke is the right instrument for you he also does free group lessons at some of the resorts and the Lahaina Cannery Mall, so check out their Facebook page for times and locations. 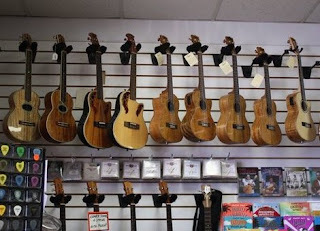 There is more to their inventory than ukuleles, of course. 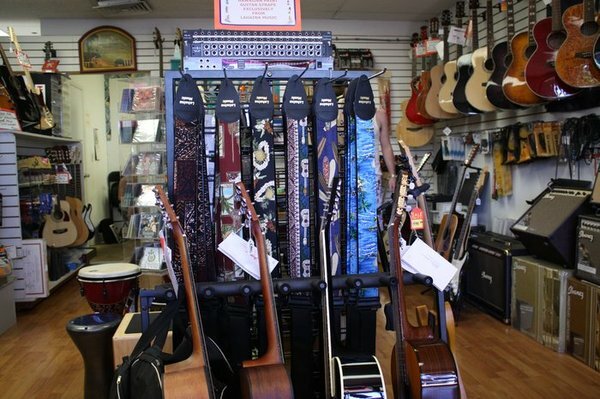 They also have electric and acoustic guitars, electric basses, amplifiers, strings, tuners, other accessories and sheet music. Stop in to take a look around -- the guys are really friendly. When you are shopping you will not get the same bottom scraping price that you will from Amazon, but this is a local business with rent to pay in one of the most expensive places to live in the United States. But they will work with you on price, and you can be assured that you are not buying a pig in a poke, but getting exactly what you need. Besides, what better Hawaiian souvenir is there other than a quality musical instrument? Lahaina Music is open from 10AM to 5:30PM Monday through Saturday, and is located in the strip mall at 910 Honoapiilani Highway (Route 30), between the Subway and the Sugar Cane Train station.